This fish taped out at 32 inches. Even more remarkable was that Larry Souza got this one on a size 20 ant pattern! Jurassic Pond has no equal in the Eastern Sierra. 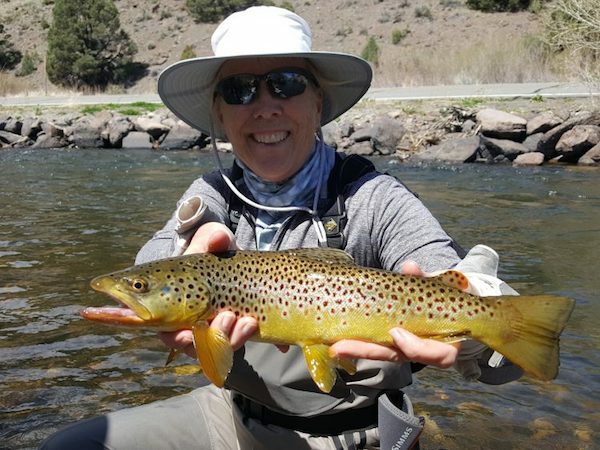 This private water holds the largest rainbow and brown trout to be found anywhere in the region. 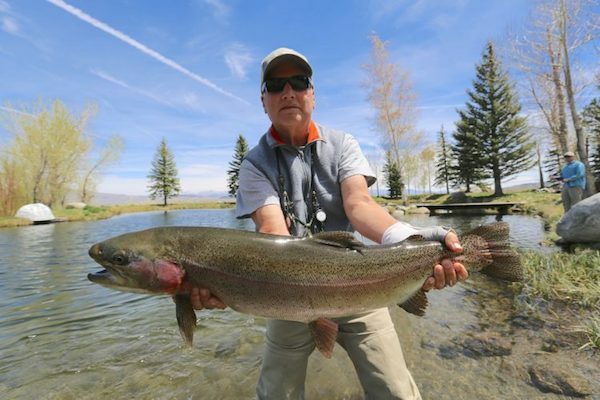 Sierra Drifters Guides have exclusive access to these amazing fish. JP is in terrific shape after the mild winter, and the fish are the largest average we have EVER seen. We fish streamers, nymphs, & dries for these monsters. We can guide up to four anglers at once here for a 4-5 hour session. To insure JP remains world class, we only allow fishing with a pro SD guide. JP is not fished more than four days a week to rest these amazing trout. 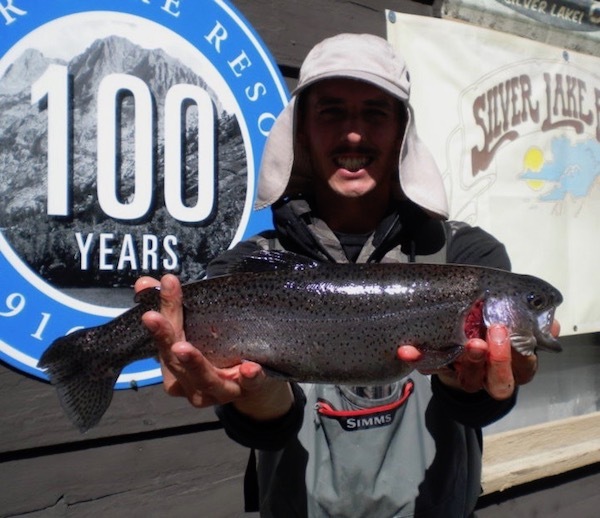 Come test your skills with the largest trout in the Sierra.